Pictured receiving the cheque on behalf of MAGPAS is volunteer Mark Klingo (second left) with Rita Mace, sister of the late Peter Bavister, his grandson Lee Welsford and son-in-law Martin Welsford. Whittlesey Manor Bowls Club have handed over cheques totalling £760 to MAGPAS, the emergency medical charity. Most of the money came from the annual Peter Bavister Memorial tournament, which has raised around £3,500 for charitable causes over the past five years. 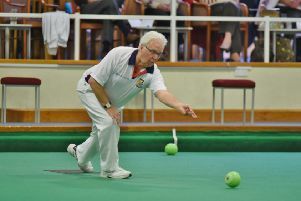 There was also a £100 donation from the Peterborough & District Bowls League awarded to the chosen charity of their 2015 president which was club secretary Melvyn Beck.